Parlour has opened on Ossington becoming the second salon in as many years to call the strip south of Dundas home. I first discovered it a few weeks back when I glanced at the second floor space just north of Queen and noticed big new windows and white walls instead of the familiar mess of bikes that had long littered the street-scape. 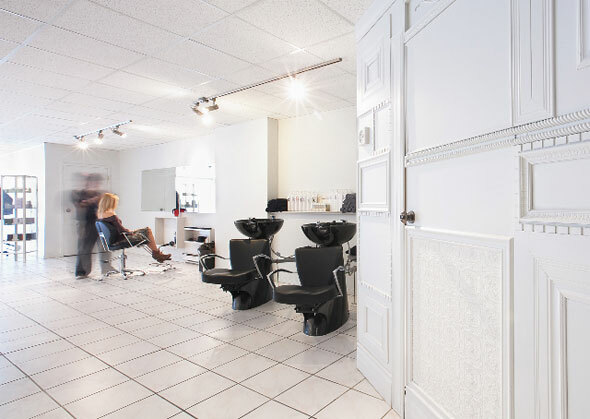 The new salon, founded by former Coupe Bizarre hair stylists Tyler Moore and Franz David, boasts what they like to call a contempo-chic space-design. From their days near Queen and Euclid they have brought with them a self-described list of celebrity clients including Alexis on Fire, Hello Operator and Ron Hawkins. Prices start at $47.62 for students (or $30.48 for kids) and are $57.14 for regular aged peeps before getting into all those extras like styling, colouring etc. What can you tell me about the space? What was there before you moved in? Well, the space has been completely redone. When Francis and I looked at it, it was completely gutted. From what we are told from the landlord it was a rooming house/brothel... sounded very sketchy. What appealed to you about that location? We had our mind pretty much set on something on Ossington Ave. We lucked out on this space and jumped on it right away. Ossington has been really up and coming and just love all the galleries and great little community. And now Ossington has a couple of hair salons. What are you doing different than Lush & Lavish , Grateful Head , Coupe Bizarre and others in the area? Well in a couple of those cases we are really trying to keep things practical. We love doing unique cuts, but we also want to give our clients exactly what they are looking for which in most cases is something creative, yet practical and easily wearable. On another side of it, we're really looking to make the client feel comfortable and welcome. You also seem to be branding the salon as socially conscious. Can you explain to me the motivation behind that? We really think that now a days, with all we know, with what all we know we can do, there is really no excuse for businesses not to take the lead and really start changing things for the better. No one's in the dark anymore about what we can do to help out our communities and environments. We're really trying to do our best given the industry we are in and hopefully lead the way. 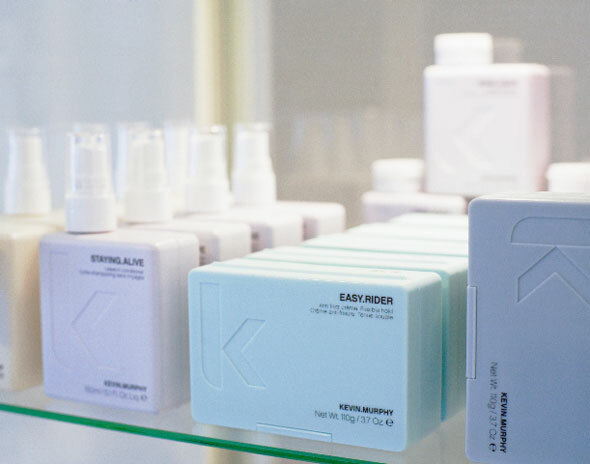 To that end, you're offering eco-friendly hair products and donate all your hair cuttings to Matter of Trust . The latter seems like a no brainer. Why aren't more salons doing that? What else would they do with their hair cuttings? It really seems silly when it's just that easy and helpful, to just box up the hair, and send it out. Not sure why other salons if not all salons don't partake in this considering it's so simple and easy. I know you can donate hair to the Canadian Cancer Society , though it needs to be of certain length and virgin hair. That of course is another option. So I guess most salons just throw it out? Yup. Just in the trash. It can't be put in the blue or green box. We've had a bit of a debate on blogTO before about the price difference between cuts for men vs. women. Does Parlour charge the same price for both sexes? We charge the same price for men and women. I know many men with lush, thick hair, and know a lot of girls who have fine thin hair. In the end, it just levels the playing field to those who would either win or lose out to the different sexes pricing.